One thing that I needed while learning pastry arts was a realistic & to-the-point Chef who could teach me technique in a fun way. That's when I started my channel. I hope I can help all of you as we enjoy this art together. Bake on Cakenista! This is one dessert that represents the winter in all it's glory. Snow Ball Cake Balls. I first made these last year, and they were a hit. 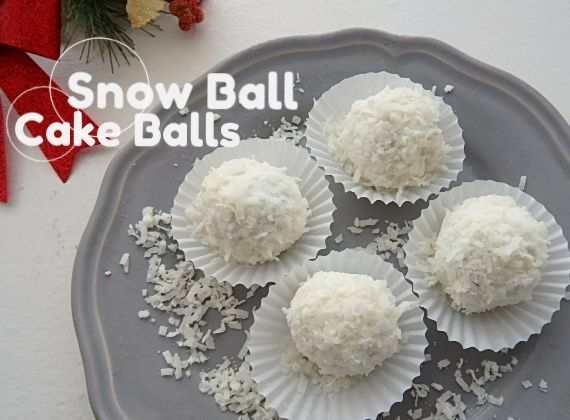 When a few of my chocolate cupcakes got ruined during transportation, I thought what better to do with them than recreate them into snow balls. This recipe is great for leftover cakes or cupcakes that you would like to transform. I used 4 chocolate cupcakes with vanilla buttercream. This part can be done by hand. Simply add to a bowl (or food processor) and begin to mash with a fork or blend. After about 5 minutes (if by hand) the crumbs should start to form and come together into a dough like consistency. Next we're going to form the balls. Do this by taking a small amount of cake dough and giving it a squeeze to remove air. Then, form that into a small ball. My cake balls were about the size of a golf ball. Allow the balls to freeze for 30 minutes or longer. This step is optional but definitely noticeable. Add about a cup of coconut flakes to a food processor and give it a few pulses. Just enough to cut these coconut flakes into smaller bits. In a microwave safe bowl, melt down white candy melts (or white chocolate) for 30 second intervals until melted. Remember to stir between intervals to avoid burning. Using toothpicks or a fork, carefully stick into the cake ball. 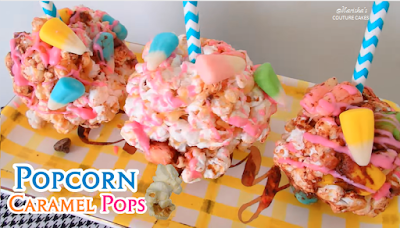 Gently place in the candy melt and give it a nice drench in the candy melt. After it's fully coated, give it a light tap to remove any excess. 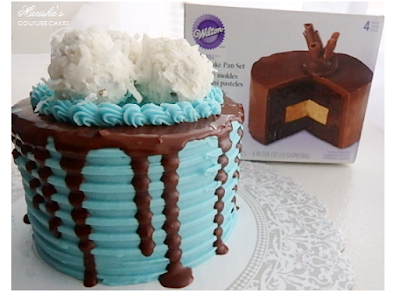 Immediately after dipping in chocolate, roll into the coconut. 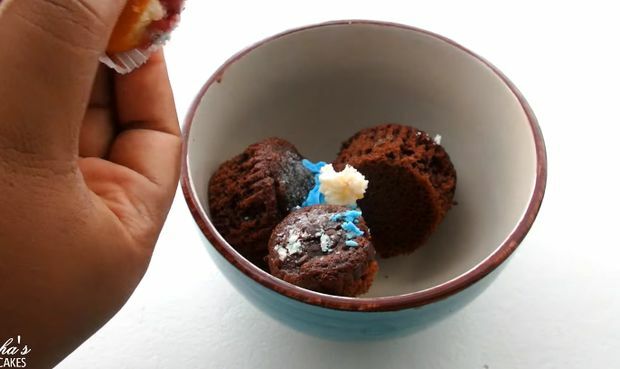 When fully covered in coconut, gently remove the toothpick or fork and place into a mini cupcake wrapper. Store in an airtight container and refrigerate or freeze. These treats are tasty frozen as well!. I have to admit...I have many "faves" when it comes to sweets. Eclairs and cream puffs are now added to the list! 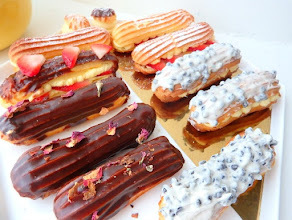 Search eclairs for this recipe!